Home » Posts tagged "Naima"
My personal feeling is that the second predictions are better, and the significance is better anyway. 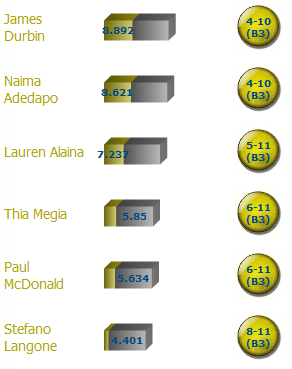 Naima is toast, then Paul and Thia in a dead heat. This could change if the major scoring services change a lot. I don’t think that’ll happen. Bye Naima!